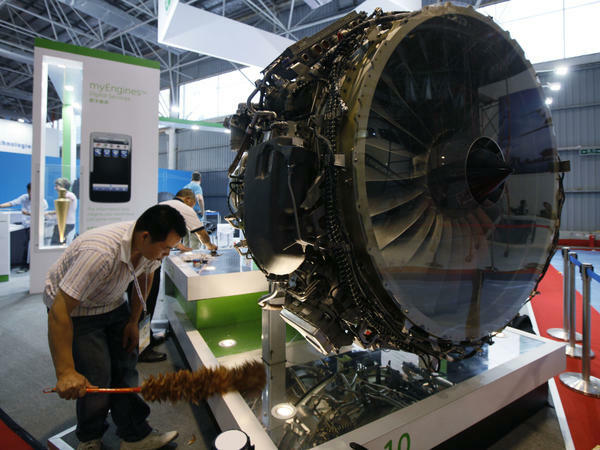 GE Aviation exhibited equipment at the Zhuhai Airshow in 2010. Now, U.S. officials say, a Chinese intelligence officer has been charged with trying to steal American jet engine technology. The U.S. is trying combat what American officials describe as a relentless effort by the Chinese government to plunder American industry of its innovative ideas and technologies. Senior U.S. national security officials, including Director of National Intelligence Dan Coats, have repeatedly warned that China is aggressively trying to acquire — largely illegally — new and emerging technologies in everything from agriculture to artificial intelligence to try to surpass the United States as the world's preeminent power. Last week, Vice President Pence accused the Chinese of trying to orchestrate "the wholesale theft of American technology." Top law enforcement officials picked up that theme on Wednesday. "This case is not an isolated incident," Assistant Attorney General for National Security John Demers said of Xu's alleged actions. "It is part of an overall economic policy of developing China at American expense. We cannot tolerate a nation's stealing our firepower and the fruits of our brainpower." Xu made his initial appearance in federal court in Cincinnati, Ohio, on Wednesday. According to court papers, he is a deputy division director for the Ministry of State Security, which is China's intelligence and security agency, in Jiangsu Province. His job, prosecutors say, was to obtain technical information and trade secrets from foreign aviation and aerospace companies. Starting in 2013, court papers say, Xu targeted experts and engineers at American and foreign aviation and aerospace companies, including General Electric's Cincinnati-based jet engine subsidiary, GE Aviation. Posing as a technology association official, Xu invited a GE Aviation employee to travel to China to give a presentation — a trip paid for by Xu. 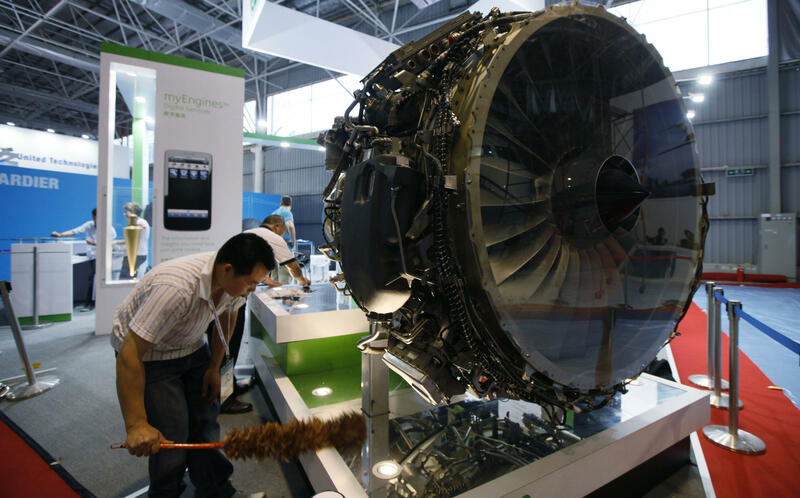 Xu remained in contact with the employee, and in February requested that the employee send specific proprietary information as well as a list of technical topics regarding composite materials in engine fan blades developed by GE Aviation, according to court papers. Xu proposed meeting the employee during a trip to Europe. He was then arrested by Belgian authorities, acting at the behest of the U.S., in April. This is the latest in a long line of DOJ prosecutions against individuals allegedly working on behalf of the Chinese government. Some of those defendants were charged with trying to steal everything from wind turbine technology to engineered rice and corn, which provides a sense of the breadth of what U.S. officials say Beijing is looking to acquire. In addition to using cyberattacks to steal industrial secrets, China continues to use good, old-fashioned espionage and theft to get to the technology it wants, U.S. officials say. Often, the Justice Department issues indictments that charge people still in China. So what makes the Xu case special is that it appears to mark the first time that an alleged Chinese intelligence officer has been brought to the U.S. to face charges. "This unprecedented extradition of a Chinese intelligence officer exposes the Chinese government's direct oversight of economic espionage against the United States," said Bill Priestap, the assistant director of the FBI's counterintelligence division.